Tip $1 and get an mp3 of "Mayan Ganim", one of our most popular songs! dianaharp: Hi Gaier, how about now? dianaharp: is the sound ok? Gaeir: Can you please say more between the difference between arousal and adrenalin? wsachsharp: concertwindow glitch did not recognize my email and password. I missed the first hour.I need to be set up for the 6pm EDT show. Gaeir: Any tips for when you get the huge adrenalin spike? Gaeir: Excellent tips; thank you!! cwsupport: Looking and sounding good here! Ivory McCann: Jen can you start the concert window in a new browser? Ivory McCann: Every so often the connection shorts. Typically, it reestablishes once you open a new tab for the concert window. davidmahony: I've heard that 1:2 inhale to exhale ratio is best for calming effect. True? It was a good class. I got a number of good techniques out of it. The location of the computer was a bit too far from where the 2 presenters were and it was hard to hear. Also it was right next to other people in the audience and they were rustling around a lot and it was loud. The computer needs to be separate from the audience. I also couldn't hear people's questions -- perhaps they should go up front to ask the question. I found that talking about stage fright for 2 hours created anxiety for me -- I could have benefited from a breathing exercise or visualization mid-way through. Thank you both! I'm glad I took the class! 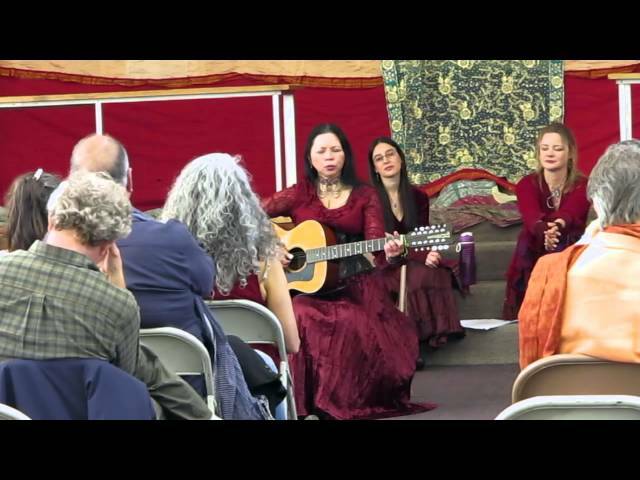 An mp3 of "Mayan Ganim", one of our most popular songs! Equal parts musical fireworks/healing ritual/rollicking good time, Ya Elah sparkles with the influence of Bulgarian village songs & Middle Eastern melodies. The musicians (vocals, harp, percussion) have backgrounds in cantorial, folk, jazz, ethnic and classical styles. Composer, arranger, & singer with Kitka for 14 years, Artistic Director Bon Singer is recognized as one of the premier directors of Bulgarian choral music in the US.